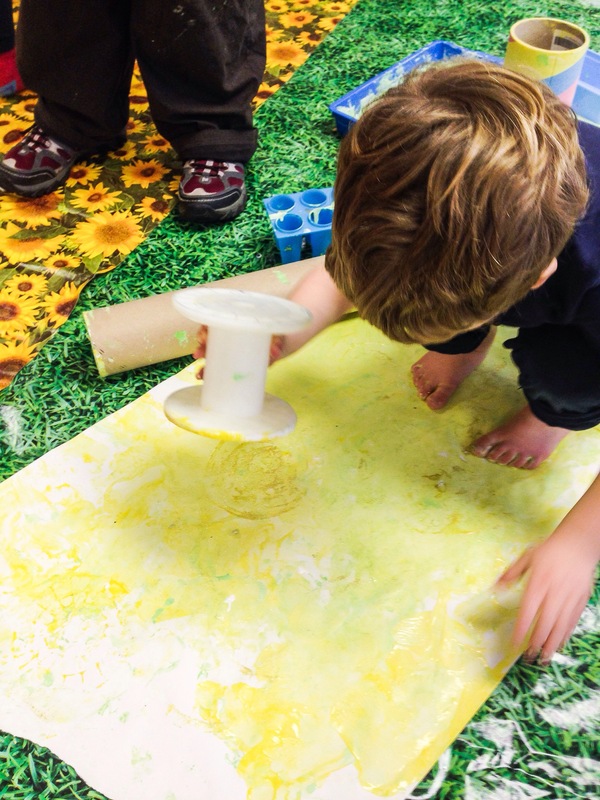 Tiny Adventurers enjoyed Big Collaborative Art this week. They were presented with some large random objects and trays of paint to freely experiment with. 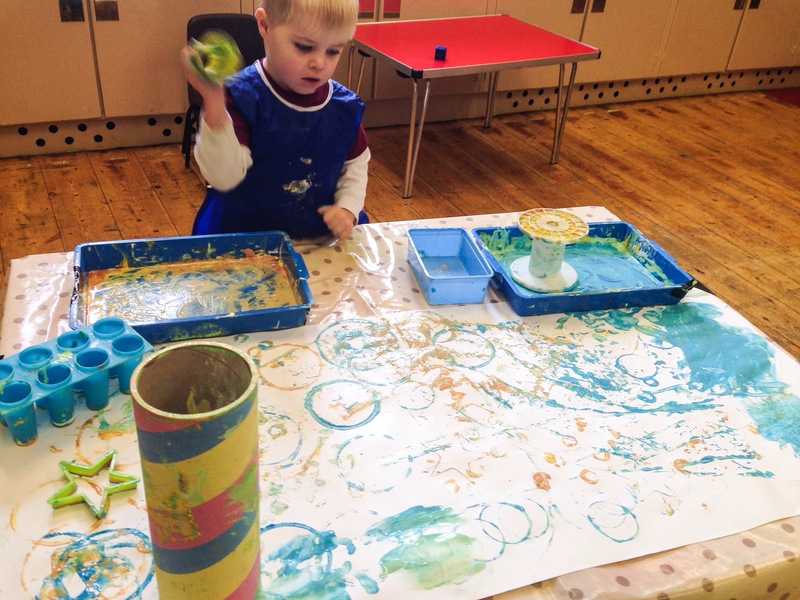 We saw lots of printing and rolling! Well done everyone! We love putting Big Art up on the wall. It’s so striking. 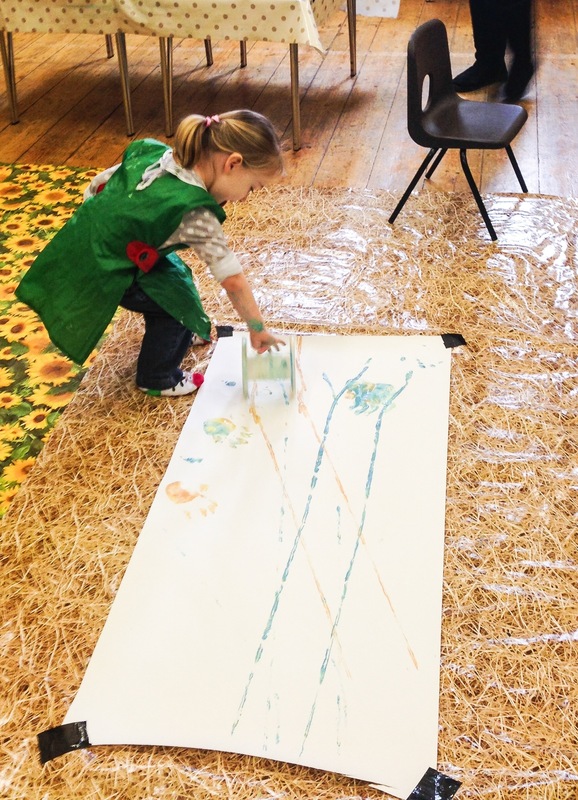 Creative messy play workshops in Cheltenham. ← Drawing With Home Made Robots!